Correct Bicycle Fit for your Upper Body - Terry Peloton. One of the perks of my job is being able to escape to the Eastern Shore of Maryland for some sunny riding around Blackwater National Wildlife Refuge. 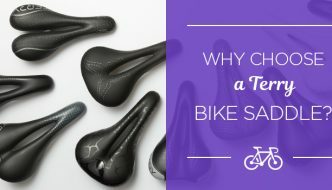 On a recent trip, I found myself thinking about the “cockpit” of the bicycle, the area that encompasses everything from the saddle to the handlebars. Knowing when a bicycle fits your legs is straightforward. If you can clear the top tube by a reasonable distance, then you’re set. (Well, almost; that’s the topic of my next eLetter.) But it’s not so obvious with your upper body. And when you do try to tweak the cockpit to fit your upper body, just what do you tweak? The handlebars, the stem, the saddle? One of them? All of them? Dominoes. That’s what cockpit adjustments are like. You get something just right at one place, only to find out you’ve lost a once good position somewhere else. Just warning you! Let’s start with the saddle fore-to-aft position. You probably know you can move the saddle back and forth on its rails. You want to do this to get your knee in the proper relationship to the pedal. Commonly accepted wisdom says that when you are seated on the bike, with your feet in the clips and the crankarms horizontal, a plumb line dropped from the front of the knee of the forward-most leg should intersect the center of the pedal. Move the saddle back or forth until you’re in the right position. We may have just run into a bit of rough. It’s not unusual for women to find they can’t move the saddle back far enough. This is because women typically have long femurs. A saddle with unusually short rails can hinder a good adjustment as can a steep seat angle (greater than 74°) on small bicycles. Ever feel as though you’re always “pushing back” on the saddle? Setback seatposts are available with varying amounts of offset which may overcome this sensation. Now we’re ready to work on the handlebar end of the cockpit. When is the fit right there? When you can ride comfortably with your hands on the brake hoods. 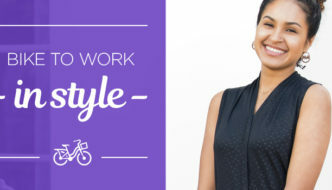 This means having control of the bicycle and experiencing no neck or shoulder pain. For many women we’ve fit, 50° seems to be the magic comfort number. This is the angle between your upper body and a horizontal line. More aggressive riders will prefer to lean forward more; really casual riders will prefer to sit up more. The stem: styles of stems vary from bike to bike, but most stems now have spacers which can be moved above or below the stem to change its height. The stem height is right when the handlebar is level with the seat. Again, there are exceptions: more aggressive riders like the stem lower; very casual riders like it higher. If the height is right, but you feel like you’re leaning too far forward, you may be able to shorten the stem to bring the handlebars closer. Likewise, if you feel “scrunched up”, you can put on a longer stem to move the handlebars away from you. The handlebar: often neglected because it doesn’t look like you can do much with it. We’ve found that most bike shops set up handlebars with the brake levers a tad low on the bar. This means you have an uncomfortable bend to your wrist while on the hoods. The handlebars can be rotated in the stem. If you rotate them up slightly, it can make a world of difference in the way the bike feels. Not too far, though, or it’s awkward getting at the brake levers from the drops. To learn more, check out my video on How to Adjust Your Handlebars. I left out one factor in this discussion: your physical flexibility and your core and lower back strength. I didn’t pay much attention to it myself until a few months ago, but now I’m sold. The more flexible you are and the more strength you have in your core and lower back, the easier it is to maintain a variety of positions. That’s a subject unto itself! 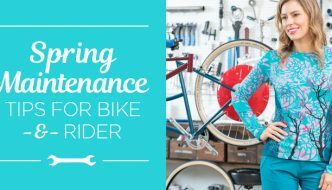 I hope you’ve found these ideas helpful, whether you’re trying to get a new bike to fit well or just polishing up your position on your current one.